How can an unfunded, first-time entrepreneur build a multi-million dollar business selling graphs? You’ll hear how it happened in this interview with Pallav Nadhani, a Mixergy fan who created FusionCharts in 2002 when he was just 17. With happy customers such as LinkedIn, his business did $4.5 million in sales last year. I invited him to Mixergy to hear the inspiring story of how he did it. Also, since he launched a new seed investment fund (it’s like Y Combinator, but in India), I asked him why he thinks some entrepreneurs make it while others fail. Pallav Nadhani is the co-founder and CEO of FusionCharts. Three messages before we get started. First copy this Facebook idea for your business today. See how they make it super easy for their users to import their contacts from AOL, Yahoo, Hotmail, etc.? You can add that functionality to your site today using CloudSponge. By using CloudSponge your users can easily import their address books into your service and invite their contacts to use your site. If you use the discount code Mixergy, you’ll get a couple of months free. CloudSponge.com. Next sponsor is SuperConf where I’ll be speaking on February 25th and February 26th. Come watch me and the guys behind Blippy, Wufoo, Grasshopper, and other successful Internet companies, live. Also, SuperConf is where mind-blowing startups were launched. If you come, e-mail me so we can meet up in person and I can introduce you to some of the speakers and the guests and hopefully we can have a drink together. SuperConf.net, that’s where you want to go. Finally, Scott Edward Walker is the entrepreneur’s lawyer. His firm, Walker Corporate Law, will handle your big transactions, like when you raise money or when you sell your firm. But if you’re just starting out, Walker Corporate Law can make sure your paperwork is in order so when it’s time to sell your company or raise money or do any other big transactions, everything will be in place and will be just right. Walker Corporate Law. Andrew: Hi, everyone. My name is Andrew Warner. I’m the founder of Mixergy.com, home of the ambitious upstart. How can an unfunded, first-time entrepreneur build a multi-million dollar business selling graphs? Joining me direct from India is Pallav Nadhani who founded FusionCharts in 2002, when he was just 17. Last year, his business did $4.5 million in sales. I invited him to Mixergy to hear the inspiring story of how he did it. Now that he’s making seed investments in other startups, I also want to ask him why he thinks some entrepreneurs make it and others fail. Welcome to Mixergy. Thanks for doing the interview. Pallav: Thanks Andrew. Thanks for inviting me up here at Mixergy. I’ve been a huge fan of Mixergy for a long time now. Andrew: That’s great to hear. I want people to understand what your company does. Can you give us an example of a company that works with you that would illustrate what you do? Pallav: Sure, we sell charting components for web and enterprise, that is we give people components which can better applications with charts and graphs. A simple example would Lincoln. If you see any of the Lincoln polls or any of the Lincoln charts and graphs, those are all formed by FusionCharts. They have their data and they want to present it better, that’s where we step in. Andrew: Lincoln is a big company with really smart people inside, great engineers. Why can’t they do graphs themselves? Pallav: Oh, the graphs they do it. It’s not their full focus. The reason why they would not want to do it is because they’ve seen that we do it the best possible way. For us, graphs are about two things. The best possible looks and the ease of integration, for them to focus something out of their whole domain might not be the best thing to do. Andrew: Okay. All right. I want to find out how you came up with the idea, how you developed it. I never would have thought that this was a business. Before we get into that, let’s find out where you are today. Roughly what size sales are you guys doing today? Pallav: We did $4.5 million last year, and this year we are pretty much on track to cover the same. It might not be double-digit growth this year, but this year has mainly been consolidation, trying to figure out where we are going. So I would say almost the same, but most likely more than that. Andrew: I’m always wondering why American companies are willing to give out their finances publicly on Mixergy. But I have found that foreign companies are much more reluctant. Why are you so open here? Pallav: We believe in a very transparent culture. That’s been the whole, that’s been our fundamental right from day one. As you mentioned, how can you make money selling charts? One of the simplest ways we do is we be transparent about what we do. One of the things which we also do is to share our finances, not only with people, with our employees and where we stand, what our profit numbers are, it’s all out there in the open. Pallav: Many people ask me, inspired by, a few of them actually went ahead and created competitive charting companies seeing that people can actually make money out of charting. So in a way that also gives me satisfaction. Andrew: That gives you satisfaction? It doesn’t burn you that maybe your employees are copying you or potentially could. That maybe somebody now listening to this Mixergy interview will say, you know, I never thought of charts. I should go and compete with them. If he’s doing $4.5 over $5 million, maybe I’ll do $1 million, but that’s enough of a start. You’re not worried about that? Pallav: Oh, absolutely not. I would say welcome to the canvas. Just to tell you some facts, we created attractive charting as a category. At that time, we were the pioneers. There was no one. Since then, there have been 10 or 12 competitors just in attractive charting not to mention mainstream charting. Our revenues have grown year-upon-year. The more players you have, they’re actually educating the market by telling the market this is what you should be doing rather than taking a share from us. That’s the way I like to view it. Andrew: For the people who are listening to us on the MP3 or just reading the transcript, he’s beaming. Pallav is beaming as we’re talking about this. Usually people are a little reluctant when it comes to giving numbers or if I ask them about competition. Now you feel confident. Let’s find out how you got here and how you got so confident. You were 17 years old. Where did the idea come from? Pallav: Okay. So actually I was 16 before this company started. Pallav: I was in school. When you’re in school, you need a lot of pocket money to do whatever you want to do. There was a site called ASPTsptoday.com run by Wrox Publications. We used to get some money if you write innovative articles. In my school projects, I use to use a lot of Microsoft Excel, and man those jobs are boring, like really boring. I thought, hey, I’m a web developer, I could hack up some code. I used Macromedia Flash then and Microsoft ASP then. I thought why can’t I hack up something and something which could be used by everybody. There was this idea of charting. That’s how I wrote this article, got me $1,500 for that, which actually formed the seed capital for this company. And then people commented on my article. They said, “Oh, well, this looks good, why don’t we go ahead and develop this?” That is where this company was formed from, in a quest for pocket money. Andrew: You got $1,500 for writing an article? Andrew: Why? How did you get so much money for writing just one article? Pallav: They did pay that much. I think they paid on word count, so it was between $600 and $1,500. Initially, I wrote a couple of other articles and then I wrote this article. Yeah, I got that money. Andrew: If I understand you right, the article was just saying we need better charting software. I think it could be done. It was just your idea? Pallav: Oh, no, actually I did about, I wrote a charting component using Macromedia Flash back then. Microsoft ASP showed them how this could be done. I shared the source code on Vanguard, an application which I developed on that website so that people could go download it, modify and even use it. So that’s what I got paid for. Andrew: I see, okay. All right. You see the people are interested. You decide to build the company right away, or do you just keep tinkering for a little bit and the company evolves out of that? Pallav: I tinkered with the code for a little bit. So when I started I was 16. I had no idea about business. All I knew was how to hack up some code. Over the next few months, I would say, people gave me a lot of feedback on how I should be improving it. Then there came a point where they said, “Okay, fine. If you do this, I’ll pay you money. If you do this, I’ll pay you money.” I realized that so many people are willing to pay money for small features. Rather than doing individually for them, why not actually productize it. That’s how this whole idea came into play. Andrew: Was it the audience who read your article who kept e-mailing you and saying, “Why don’t do you do this feature and I’ll pay you for it.”? Pallav: Right. So then they refer it to their friends and it just kept on being viral at that point in time. Andrew: What kind of people were they? What kind of customers were they? Pallav: Primarily developers, Microsoft stack developers. People who were using ASP and building up web applications. Then since it was built in Flash and used XML, it could be used with another technology. Then PHP developers came in and said, “Hey, we could use that. Why don’t you do this for us?” Overall, it spread to a wide audience then. Andrew: For the transcribers, you’re saying ASP, not ESP. I want to make sure that they transcribe it properly. What did that first version look like? When you had all these ideas coming at you, what did you decide to include in the first version? Pallav: If I tell you now, I’ll be very embarrassed about it. Pallav: It looked like a really bad column chart, but it was animated and attractive although way better than Microsoft Excel then. The story goes like this. Actually FusionCharts was not the first product out of that article. We created a product called fXgraph, and we ran it for six to eight months. We ran it for four versions. fXgraph Version 5, we were like, “Oh, boy, this is way better than previous four versions.” The first four versions of fXgraph were like very basic because we were starting out alone to productize a charting company. While it had more functionalities than Microsoft Excel but when we developed fXgraph 5, we said if somebody had seen version one through four, they might believe that it’s the same product. So we renamed fXgraph 5 as FusionCharts, and that’s how FusionCharts got started. In a sense, if we talk about the previous versions of FusionCharts, like Version One, if I look back at them, I would say, “Oh, my god, how did this product sell? Why would people pay money for that?” But it just happened. Andrew: I think Eric Schmidt once kidded that if you’re a kid and you do goofy things on line, you might just want to change your name later on in life so that when people Google you they won’t find all the embarrassing stuff. Essentially that’s what you did with your product. You said if anyone Googles us or sees our past versions, they’re not going to have confidence in us. We’ll just come up with a brand new name. Pallav: In a way, yes. Andrew: I see. All right. But still, what did that first version look like? I want to understand what that embarrassing version is and I’ll tell you why. Because when I create something for the first time, I feel like it’s got to be perfect because my name is on it, because the world always says you have to take pride in what you create. I won’t allow anything out there that I’m embarrassed, or not that I won’t allow it, but it’s painful to allow it. If I hear from you what you did and what yours was like, I’ll remember it when I’m building my next version one. Pallav: Right, because you’re Andrew Warner right now. Back then when you started, then you weren’t. Andrew: When I was no one, it was easier. Pallav: When you’re starting with your first product, your first venture, it’s a lot easier because then you do not have any legacy to take care of. I mean you can actually go out and give it your everything without worrying about the legacy factor. Gradually as you become more successful or you build a lot of products, then you have that external pressure, oh my god, I have to keep up with my name. I have to keep up with the quality that I’m doing. That’s pretty much what happened. I mean, I would say, a little knowledge was actually a positive thing for me back then, because I could get it out without knowing that this could be bashed around. Andrew: So what did you include in it? What was in version one? Do you feel comfortable saying it? Pallav: Oh, absolutely. Funny story. When I released version one, all I knew was, all I thought was there are only six types of charts in the world — pie, column, line, bar, and area. I thought that is it. That is the end of charting universe. Version one contained just these six charts and that’s pretty much it. I was confident, in fact, I was, at times, thinking if version one covers all the charts, what am I going to do in version two? When we released version one of FusionCharts, people said I need this chart and that chart and this chart. And then my eyes opened. “Oh, my god, there’s so much more to do.” Then we kept on creating, and still today, while we call ourselves a really comprehensive charting solution, there’s so much more in data visualization which could be done, because everyone attempts to view their data from his own perspective from his own angle. That gives us the confidence and ability to keep growing every single day. Andrew: So the charts that you mentioned are the ones that are included in Excel. Most people are all familiar with them. What did you do that was different in your, in the limited charts that you created? Pallav: Okay. Number one we added attractivity. Number two, we made it look much better than Excel charts. Number three, we added animation. Number four, we took it on the Web and allowed it to be connected to any Web technology. For example, if you tried to build, back then if you wanted to build a chart in your Web application it was really a complex process. You would have to go with comp libraries or wrap up the Excel component, that’s for the technical guys. Most people were on shared hosting, where some of the providers would not allow you to install any of these components. We said, “Here’s an easy way. All you need to do is copy, paste, upload it, provide the data, nothing else, I need it done.” Essentially you could start it in 15 minutes and that has been our USP right since then. Andrew: Okay. All right. So you came out with that first version. What did you, how did you improve on it in version two? Pallav: In version two, we improved on the usability aspect. We made it look better again, and we added more chart types. Andrew: Okay. All right. When you had version one, how did you get it out to customers? How’d you get it out to people beyond the ones who e-mailed you and asked you for features and were willing to pay for it? Pallav: We did multiple things. I did not have too much cash to spare on marketing. What I did was, I wrote a couple of articles on the product itself and published it on various websites. People who were willing to take content for free. In fact, some of them even paid me for an article which actually was about my product. So it was a double bonanza for me. Apart from that, there were a lot of directories. I e-mailed a lot of people that, “Hey, this is a new charting component. I know you might not be able to include it in your product because that means additional development experience, but guess what? I’ll develop it for you for free.” I did a lot of free quoting for other products and projects that I embedded FusionCharts as part of their product. This went on for like three to six months, and then people started liking it. Eventually the word started spreading out. Andrew: When you’re developing for someone else, who just to get them to buy your software, that doesn’t seem to be much money in that? Why would you do that? Or was it because of the money? Pallav: Two things here, $800 when you are 17 is a good amount of money. Andrew: Is that what you sold version one for? Pallav: No, actually version one was sold for $15. Pallav: $15, yes. There was a reason because I was contemplating on selling it at $4, and so the payment provider said, “I’m sorry the minimum we accept is $15” back then. So I said, “Okay, $15 it is.” It started with $15. Then gradually we increased our pricing from version one to what we have today. Andrew: The question I was asking earlier was you were willing to develop for someone who bought the software? That’s just $15 that they’re paying you and you’re willing to do the development? Andrew: It’s got to be more than the money you’re interested in, isn’t it? Pallav: Well, absolutely, because every time I develop for someone, I get access to real live data. I get access to understanding how they’re going to be using the product. That is one of the things which we, like if you look back at [inaudible 15:03]. The product was conceived and conceptualized by developers who commented on my article. Right from day one, the product had been driven by users’ feedback. They told what they want in a product, what they never wanted in the product. Even when I was developing for these guys, for these customers, they told exactly how they would like this to be implemented in the product. That gave me real life insights into what the product could be used. That was the most valuable lesson I learned throughout the development history. Andrew: I could see that. Do you remember one thing that you learned by actually implementing your own software in someone else’s system? Pallav: Yes, make it very easy to use. That’s one of the key lessons I learned. Even if I develop and give it back, people will need more and they’ll come back to you at a point where you do not develop it anymore. You have to make sure that it’s very easy for them to pick it up and then learn from where you have left it. Andrew: How does a teenager get a payment processing system? Pallav: Funny story behind it. Before my product, I actually had written a book, a book on Flash, ASP.net. The publisher couldn’t pay me because I was under 18. I had to get the money in my name, in the name of my dad because the laws here do not allow you to do that. For the first version, I think I used my dad’s name to open an account. On a payment provider, the name, it went by the name of Virtual Software Store. VSS.com or something like that. We opened an account in the name of my dad, and that’s where I got my money from. Andrew: By the way, I’m hearing honking horns in the background. Where are you? What city are you in India? What’s going on outside your window? Pallav: I’m in Calcutta, that’s eastern India and I am in my room. There’s a street right beside me. Andrew: In your room meaning your bedroom? Andrew: Your bedroom, okay. Wow, so what’s the environment like in the city that you’re in? We’ll get back to the story, but I’m curious about where you are. Pallav: Environment, in terms of whether it’s very hot, like, it’s 45 centigrade with 25% humidity? Andrew: I mean like the entrepreneurial community. The community, the community in general, the city. Pallav: Calcutta, it has a lot of services. Infrastructure like a lot of companies set up shops here because there’s a lot of, there’s plenty of low cost labor here. In terms of entrepreneurial, over the last few years, it has been developing, but still I say it does not compare with some of the cities like Bangalore or Delhi or for that [inaudible 17:27] in India. The way I see in the next few years the momentum is strong and it will catch up eventually. Andrew: All right. And after we get past this story, I’m going to ask you about how you’re making seed investments and what the entrepreneurs are like there. I’ve got to ask you about the window? Would it be possible to shut the window? Pallav: It is actually shut. Andrew: Oh, it is shut and you’re still hearing all that honking noise, okay. That’s like New York City. Pallav: Oh, for some reason, I’m not hearing it. Probably the speakers are amplifying it. Andrew: Maybe because you’ve got me on earphones. 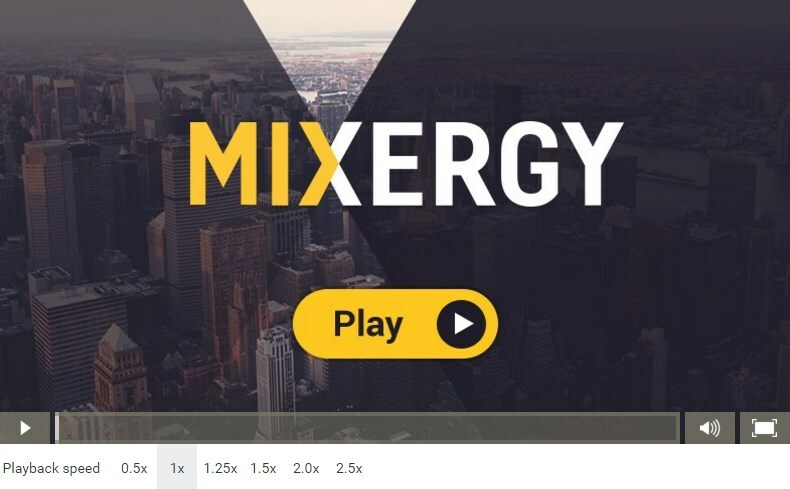 Can you roll up the window and tell them, “Listen, I’m on Mixergy.com guys. If you could just turn it off for a half hour or maybe an hour, we’ll be fine.” All right, we’ll continue with the interview. Pallav: Let me try that. Andrew: Okay. So that’s how you got the payment provider. How well did the first version sell? Pallav: The first version, the day after I put my product up for sale, for seven days actually nothing happened. Those seven days were the most nervous days of my life because I was thinking here’s a good product that I thought was better than the earlier four versions, why aren’t people buying it? When the first sale happened after a week or so, thereafter a sale happened almost every alternate day. I think the first one, I grossed around $1,000 from the sale of the product. Thereafter, it just kept multiplying, like 100% growth, month-on-month, year-upon-year. Andrew: The way people found you is just through the articles that you were writing? Pallav: The articles, word of mouth, a lot of directory listings back then. We also did put up some banner ads on some of the sites, which we thought were influential in the developer work space, not so much in the CIU or the CPU work space because any of those ads would have cost us thousands of dollars and that was money in our revenue. Andrew: When you say us, was it just you from version one to version four? Pallav: From Version 1 to Version 4 of fXgraph, yes, and from Version 1 to 2.3 of FusionCharts, yes. After FusionCharts, I worked three years alone just trying to keep up, just trying to make some cash so that I could put that money to hire employees to build up an office. So from 2002 through 2005, it was just me working on all the coding, development, sales, marketing, customer support, and everything. Andrew: Wow. How many hours a week were you spending on this? Pallav: I think anything between 110 and 120 a week almost. Andrew: You were still in school at the time? Pallav: I was. Actually, I switched a couple of colleges just to make sure that I get adequate time, so I switched my subjects, switched my colleges. Finally went into [inaudible 20:03] because that allowed me to get maximum time on work. It would easy here to study. I mean, you put in like maybe an hour or two or four in a week and you’re done with that. My family background is more into business like accounting and things like, so it’s relatively easy for me because my dad would me guide me on this is what you should be studying. Andrew: Why didn’t quit school and focus on this full time? Pallav: Putting in two hours of school time a week, why do you want to quit school? Andrew: Oh, I see. You don’t need that much more time anyway, I see. Andrew: Okay. What happened between Version 4 of fXgraph and Version 1 of FusionCharts? Why did things change so much that you, that it was like a brand new product? Pallav: (A) a lot of customer insights. (B) more R&D. I was able to put more time and understand what a customer is looking at, and (C) one year time gives a lot more technical experience, because when I started fXgraph I actually had more real life experience of coding and applications, but within the year of coding and of reading intensively I got a lot of ideas on how we could improve that. After Version 4, I put a lot of time into development, and it substantially changed the output of the next version. Customer inputs and a lot of R&D, I would say. Andrew: What was different about it? Pallav: It was, again like, after Version 1, we knew there were two things we should be focusing on — good looks and ease of use. Why good looks? Because there are a lot of charting companies out there, as you mentioned, how can you make money out of charting company. We have to have one USP, like charting something which is always present in the presentation layer of any of the applications. You have to absolutely nail the good looking factor. We improved looks. We drastically improved the looks there. We kept on making it easier to use because we have a thought if a customer can not get started with FusionCharts or fXgraph in less than 15 minutes, that means we had failed. We kept on working on these two parameters then. That is something we have been driving throughout the development cycle. Andrew: In your earlier versions, Version 1 through 4 under the previous name and Version 1 and 2 of the new name of FusionCharts, did you ever go, did you ever stray from your core competency? Did you ever add anything that now in retrospect feels like it was inappropriate? Pallav: Not really. In fact, the good part has been that we actually didn’t do anything else apart from charting, so we never got an opportunity to stray. We have actually kept our focus right from day one until today. All we are is a data visualization company. We don’t know anything else. We don’t do anything else. Lack of knowledge has actually helped us keep our focus. Andrew: When you build based on customer feedback, how do you know which feedback you should listen to and integrate into your product and which is just not right for you? Pallav: The way we evaluate our feedback is we try to figure out if it’s something very generic. We wait for a few more customers to get back to us on that if there’s something which they can use. Now that we have a very wide customer base, we can easily contact people and ask them what they think about this feature. Or how do you think this should be implemented? If people say, no, this is not something which we could use or it’s not something which would necessary as of now, we go back to the customer and say, “Hey, look here, it’s not something that goes into the main product, and eventually if we implement it, we’ll come back to you.” Mostly because we are a small team, we try not to do any service implementations like customer implementations unless it’s absolutely necessary for a bigger client. Andrew: I think there’s a stereotype, or a misconception out there that makers can’t be sellers or can’t be promoters. If you’re a developer, you can’t go out there and also sell and learn how to increase conversions and so on and vice versa. You seem to do both. How did you learn the marketing side of the business? Pallav: Just go with the flow. I mean, effectively, if you made a product and put it out there, customers come to you and tell this is what I like, this is what I don’t like. I feel marketing is a good part of that. If you understand what customers want and you can reposition your product and message according to the customer’s need, that essentially is marketing. When it comes to selling, again, it’s all the same thing. What is the pain point that customers are looking to fulfill? If you can identify that, fix your product accordingly, rebrand and message it accordingly, essentially that’s the same thing. It’s not very different from development, because in development you’re looking at the pain point, you’re looking at features. Rather than looking at features, look at the benefits you can get across to a customer. Those benefits, in effect, form the sales pitch, the marketing pitch. All of those are interconnected. If you ask me can I call up someone and possibly sell a [inaudible 25:01] of FusionCharts, possibly yes possibly no. I don’t know yet if I’m good at that. The way I look at it is if I know what they’re looking at and what are the pain points they are having, yes, I’ll have a lead there and I’m very sure I’ll be able to close that. Andrew: You said that your messaging was influenced by what people told you they wanted from the app? Can you give me an example of that? Pallav: Right. When we started out, we said we are an attractive charting component, and people’s . . . so another example, our first tag lines was, “Real Time Animated and Attractive Charting Solution Program”. Because we thought it was real time, [inaudible 25:36], it was attractive, and it was a charting component. This is not a 30-second elevator pitch which anyone would remember. This is not even a three minute elevator which anyone would understand. Then when we talked to the customers, they said, we come to you for two things. (A) you’re very good to look at. People said we want your component because they’re good looking. We said and you guys are really sweet to implement. We knew these are our two USPs, and we rebranded our product and our tag line. Today you see our product tag line, it’s very simple, “Stunning Charts for Web and Enterprise.” That’s very much it. That’s how we positioned our product. Andrew: That’s a great example. USP, unique selling proposition? Andrew: Okay. Do I have anything else here? Sorry? Pallav: Are you asking what the USP is? Andrew: No, I just wanted to explain what the initials stood for. Andrew: What else? What about the idea of selling the benefits not the features? Where do you learn that? I know a lot of people who read lots of business books, and it’s still not a point that gets driven home. For you, it seems natural. How’d you get at that? The best part, since all of FusionCharts is in the presentation layer, this forms a very good starting point for the presentation to the client. That is where we realize where the benefits are. Rather than giving them a feature list, a huge feature list, like if you go to our website, we still do not have a feature list or a data comparison sheet or a data sheet for the product. We give you a feature tour, which is more benefit driven. We give you a lot of case studies. We give you a lot of demos. The best part about demos are they are real life demos. People can download . . . all our demos are downloadable. You can download a demo, just plug in your data, change the parameters, and there you go, get started. What took us maybe a week or so to develop, you could just change that and get started in maybe an hour or so. That’s a huge benefit maker. This has resulted in a lot of good feedback and sales for us. Andrew: We talked about how you did $5 million, or you’re going to do $5 million this year. What about the first million? When did you make that first million? Pallav: You mean first million hitting the bank or first million in revenue? Andrew: How about let’s go first million in the bank. Pallav: First million in the bank was when I was 21. Just crossed 21, I think. First million in revenue was 2006/2007, as in financial year. Andrew: Gotcha. So what was it like when you did that? When you did the first million in sales? Pallav: Yes and no. For a brief moment, yes, there was a feeling, but beyond that it didn’t mean much. It didn’t mean too much, because I’m not a finance guy. So for me a million dollars does not hold as much value as the impact of FusionCharts or the impact of what we can do with technology and improve people’s life. It’s a feature that we’re improving. You can call it an feature that we are saying that we are improving people’s life by delivering charting components, but I would like to think so. With better looks, with better ease of use, we are actually affecting a lot of lives. Andrew: Why is that the motivation? Actually is that your main motivation? Pallav: Absolutely. I cannot tolerate bad looking things. The motto behind FusionCharts is make good looking things. This is not only the motto of the product, if you look at our website, anything that you see which comes from our stable, we try to ensure that it looks good. The eye is your window to everything that is in the world. So if you can pleasure the eye, there is a lot more satisfaction to be attained. Andrew: I think Mark Zuckerberg at Y Combinator’s startup school said that, “The outside world doesn’t understand developers and the way that they think. The motivation isn’t more money in the bank. It’s to create something.” Why does that make you happy? I understand why money in the bank makes people happy. It means fewer worries. They don’t have to worry about medical expenses if things go bad. They can buy more things and have access to more things. Can you describe the reason for this motivation? Pallav: It would be tough to describe, I mean, because everyone has their own motivation. The way I look at is if you’re a good developer, you can make money at any single point of your life. You never have to worry about money. Not only a good developer. If you’re a good marketer or if you’re a good salesperson, if you’re good at anything, money should be the last concern you have on your mind. What you should rather be passionate about is, what is that single thing which you think you’re the best at and which you could utilize to affect people’s life and how it works along the way. I think that’s one of the most important driving factors that has been for us. We want to make things look good. We want to make charts look good. We want to make sure that people build better web applications using our components and that prides us. Andrew: Are you someone who wants to make everything look good, who just design and beauty is part of your makeup? Or are someone who just said I found something that makes people happy. I understand how to give them more happiness. I’m just going to keep working on that. Pallav: Would you not say they’re inter-related? Anything which looks good also makes you happy. You look at an Apple product and think, “Wow, this looks good.” You’re happy at that very single moment. I’ll say they’re very inter-related. If you can make something look and as well function good, people will be happy eventually using that. Andrew: Does this go beyond your work? Are you doing this around your house? If the camera were to pan around your bedroom right now, would everything be well-designed and ready for Architectural Digest to come in? Or is it just in this one area? When it comes to work, this is where you have to put everything. Pallav: Okay. I think it’s primarily my work and not my home definitely. It’s kind of in a state of clutter right now. So, I’m not going to show you around. I’ll say it’s mostly work because I’m very passionate about technology and it applications on the Web. That being said, if I get time to do my room, to do my house or whatever, I’ll probably do it in the best possible way. Andrew: How did you decide to or why did you decide to bring on your first employee? Pallav: Because of two things: (a) I was slightly getting overloaded, I mean after 110 to 130 hours a week, there’s only so much more you can put. Secondly, at that point in time, I knew I had the cash to be able to fund someone full time. If that guy’s dependent on me, I better make sure that I have enough cash in the bank to pay him and make sure that he has a good life. That was one of the reason. Secondly, I knew that there’s only so much I know about charting. There’s only so much I know about technology. The Web is evolving every single day. Since FusionCharts is a cross platform charting product, you can use it with multiple technologies, I only knew a very small subset of that. So I knew I had to get people who could complement my skills and not just expand on what I already know. Andrew: What was the position, the first position that you hired for? Pallav: The first positions were actually developers. You’re talking about hiring. We hired our first salesperson after we reached 10,000 customer organizations. Before 10,000 customers, we never had a salesperson. Andrew: So, before then if I were to consider buying your software, I would talk to you or one of your developers and you’d give me feedback on it. If I had any questions, you’d answer them. Pallav: Right. On the technical side, yes. On the sales side, why do we need to? It’s a $100 product or maybe $400 by the time we were Version 2.3. We’d go to our website, download, unlimited trial. That’s one those things we also offer. We never put any restrictions. No feature restriction, no time restriction on our trial, because we realize that charting is not something which you might need right after downloading. You might use it in a product three months down the line, six months down the line, whenever you have the need for it. We created unrestricted trial, unlimited trial. You use it. Once you like it, you go back to our website and purchase it. So most of it is automated. In fact, the majority of Fortune 500 companies are our customers. We’ve come to know about their purchase of FusionCharts the next day when we go back to the office. There was one morning I would go back to the office, I’m like today is Facebook is our customer. Last night they purchased it. Facebook when they had the [inaudible 35:00] they were using FusionCharts [inaudible 35:03] So that’s how it functions automatically. Andrew: There’s no way to keep somebody from using this without paying. It’s just the license that obligates them to pay. Pallav: Absolutely. In fact, we are a commercially open source company. Whenever you buy a FusionCharts license, you get the entire source code of FusionCharts for free. Sitting in India, a 17-year- old kid, nobody would have trusted me if I don’t give them the necessary credibility off of my product. Right from day one, I took the decision that this is the only way to influence them. Give them the entire source code. Let them be comfortable using the product. That fundamental has been followed right from day one until today. Today also, if you buy a license of FusionCharts, you have access to the entire source code. You can modify it and use it the way you want it. Andrew: How did you come to that decision? Why not restrict it somehow and make sure you get paid? Pallav: On the licensing part? Pallav: Two things here. (A) FusionCharts, number one, it was to be for [inaudible 36:00]. It’s not like an enterprise product where you give a limited time trial and you say, “Hey, now you sign up.” Just pay us, because people would dump us then. They would not be motivated. There would not be enough emotional lock-in. That is what I like to call with the product. We want you to believe and be happy. If you’re happy, you’ll be as [inaudible 36:19]. If you’re not happy, we don’t want your money. Simple as that. In fact, we also have an unconditional money-back guarantee. I mean, publicly we say it’s a 30-day, but we have had cases where customers first used it almost 16 months back. They say, “Hey, I’m not using it anymore.” I download it once and then the project ended. We said, “Fine, take your money back. We don’t need it.” If you’re using it, we want your money, we’ll take your money. If you’re not using it, we don’t want to take your money. You have to be happy before you part away with your money. Andrew: Wow. You said your first hires were developers. What kind of developers did you hire first? Pallav: ActionScript developers, Flash developers because that is what our core product was. Even that guy was fresh, right out of college. There was this whole bonding. I never knew how to hire people that I had started hiring, and I was scared of hiring senior people because I never knew how to work with them. I never had an office. I never knew what HR policies were about. I didn’t know when you have to give the money. I didn’t know about pay slips, none of that. I thought, okay, here’s a guy who doesn’t know anything about HR policies. He has never worked in a company. Let’s go hire him. Make sure that he’s absolutely passionate about the technology as I am. That is how I did it. Everything worked out pretty well. Andrew: I’ve talked to developers who made their first hire who was another developer. It’s exciting. They’ve told me about having somebody else to talk to, somebody else to bounce ideas off of, some new insights that only someone else that works side by side with them in the code would have. Can you describe some of those? What was that like? Pallav: Absolutely. It was very insightful, because a lot times you actually need someone to talk to and say, “Hey is this a good thing? Is this is a bad thing?” When you have somebody sitting right beside you, you can do a lot of that. Also, there are moments where both of you are on the other side of the same thing and it does lead to some confusion. As a company owner, you tend to have the upper side. You say, “No, I’m sure of what I’m doing.” I would say with a little discretion and with a little bit of experience, all of that sorts out. One moment, which I like, if you ask me to pinpoint one moment, I would say we were building on a new animation type for a line chart. The animation which I had put in was pretty basic and decent if not the best. The first developer I hired, he came up with a new idea. I was jumping on my seat, “Wow, this is awesome.” I had to go and drop my mom to the railroad station at that point in time. I was constantly asking, “Give me five more minutes. Five me five more minutes.” And she kept on shouting, “I’ll be late for my train. If you don’t drop me now, I’ll actually be late for my train.” So on the way, I was on the phone with this guy, like my full developer and just sharing. Those moments of excitement are like very relevant in the early days and you get to learn a lot from that. Andrew: Any big mistakes along the way? What’s the biggest? Pallav: I’d say, I’ve made a lot of mistakes. Pinpointing the biggest one would be, I don’t know, I don’t know the biggest one, but I would say one of the bigger mistakes, which I have made and which I’m still figuring out, is how to hire senior people. I’ve done a few bad hires and they have not worked out, like very senior hires. I’m still trying to figure out what the reasons are. What I’ve figured out is, for me being able to work with a lot of age difference, I find tends to get kind of messy because there’s a whole generational gap, a whole mindset gap, the whole [inaudible 39:48] gap. So I try to stick to a fair figure. Any guy who’s between 25 and 40 years of age, I can work with him. Beyond that, even though my dad is a part of my company, he handles the finance and administration, I still have not been able to figure out how to get that to work. Andrew: Is it something you can talk about? Can you talk about some of the hiring mistakes you’ve made? If not, it’s better not to. Pallav: A couple of years ago, when I thought, hey, we do not have a sales team and I think we should build a sales team because everybody has a sales team. Probably this would help us sell more. I went and hired a guy, 30 years of experience in sales. The mistake I did, and he was selling enterprise software at multiple locations, some of the best companies in the world. What I didn’t realize was that you cannot take a guy out of a big company and get him as a [inaudible 40:44] kind of sales team. More so when he’s experienced of selling enterprise software but not a product like yours. The reason why I had to do, because in India, we still don’t have a lot of product companies. Product talent is still very hard to find. I had to pick up talent from a different industry, which was enterprise software product. That fit terribly, (a) because he was very senior and the ideas which he give were not matching with mine. We were working on a more mass distribution channel. He was more like one-to-one sales. Let’s talk to this client and do a $100,000 deal. I’m like no client would pay us $100,000 for a charting component. Eventually clients did, but there was the whole difference of mentality. Then his way of working. When I was putting in 110 to 130 hours a week, I was expecting everyone to put at least somewhere near that. Again, you don’t realize that people have families, people have lives beyond work. That became an issue. He was putting a fair 50 hours a week and I respect him for that. Looking back, that was a major mistake I made. Few more in terms of like product management and product management guys. The difference, like the mistakes which I didn’t realize, was like I went after big names hiring from this big company or hiring from that big company without trying to understand is this guy really a good fit for a startup? All these were a few years ago, and ever since then I’ve been trying to refine my hiring strategies. Today I have a good team of 45 people who absolutely love what they do. Andrew: Where do you guys work out of? Do you work out of your home usually? Pallav: Oh, no, no. I go to office. I have to travel a lot. We have an office in Calcutta where we’ve got 45 people. We’ve got quite a few offsite employees like, we’ve got one in Heidelberg, one of our marketing consultants. We have got sales in the U.S. We have a small team in Eastern Europe. I’m setting up a new office in Bangalore. So finally I go to the office if I’m in the city. Otherwise, I keep traveling, meeting clients, taking part in trade shows. Andrew: Did you say Calcutta’s the office that you go to? Pallav: Calcutta is the office that I primarily go to, but now I’m setting up a Bangalore office, so a good chunk of my time will be spent there as well. Andrew: Before the interview, you and I talked about how you’re getting into the consumer market. Can you tell us about that? Pallav: Sure. FusionCharts was used in large web applications, and our core functionality is our USPs, which is good looks and easy to use feature. We’re loved by a lot of people who are web developers as well as they give a lot of PowerPoint presentations. They came back to us and said, “Hey, we’ve got the best looking charts on the website.” Now we want to get that inside PowerPoint. We want to use FusionCharts inside PowerPoint. It was a complicated [inaudible 43:21] for them. There’s still a lot people who actually did that. We’re like, these people are putting in so much effort to get FusionCharts inside PowerPoint. Why can’t we make it easier for them because that is our second use, to make it easier for them. We put a lot of effort in figuring out how we can do that. One of the funny things is actually this product idea was born as experimentation for other products. We were trying an experiment for another product and that experiment did not work out, but eventually resulted in a component for this product. We picked up the idea from there, nurtured it for the last two and half years. We built this product called Oomfo which people can download. It’s a plug-in to PowerPoint. You can start using FusionCharts inside PowerPoint without having to write a line of code. Currently, we have 10,000 beta users for this product. People are liking it. The whole aspect of creating more chart types and creating more attractivity within PowerPoint is something they’re not use to. We’ve got a fairly decent response out of it. Andrew: Before I ask you about your investments, I want to ask you why do you think your company made it? What do you think you had that was the “it” factor? Pallav: Hard to say. I would say maybe two things. Maybe sticking to the focus. right from day one we knew we just have to do data visualization, nothing else. We stuck to that focus. Number two is following parameters, like creating the right differentiating factors. Even though we have one of the powerful charting suites with this company, I would say we have [inaudible 44:58] and bunch of those so-called features in the product. We never [inaudible 45:04] those features. We have two benefits. We have the best looking charts, and we have the easiest to use, period. That is what customers love about us. That is how we got started. Consistency, like when we say we make it look good. Like I mentioned, not only our product, our documentation, our demos, everything looks good. When we say we help you get easily started, which is not only our product, it’s also our demos, our live examples, our customer support, everything makes it really easy for you to get started. That consistency probably has helped us to achieve [inaudible 45:36] charting components. Andrew: If you see me looking down, it’s because I’m an obsessive note taker. I can’t stop taking notes. I do it in the interviews, and when you make great points like that, I have to take them down. At what point did you decide to make investments in other companies? I think it was a year and half ago, did you launch Seeders Venture Capital? Or are you a partner there? Pallav: Yes, we did. It was me and another partner. My partner comes from a service background, and I come from a product background. What happened was we were, for the last few years I’ve been interacting with a lot of fellow entrepreneurs and aspiring entrepreneurs in the city and in the country. While the ecosystem has developed a lot in the last few years, there’s still that last mile push, that last mile motivation they need before they quit the jobs and go and start their own. Of course they have their own ideas. This is where we thought, we have got the experience of running however small our companies are. We did it and people look up to us. Why don’t we actually take this forward, put in our own money, behind these guys, the good guys with good ideas and see what we can come up with. That is how this whole idea started. It’s me and my partner, Abhishek Rungta, we put our own money as the seed capital for this seed fund. We started conceptualizing a year and half back. We have been receiving business plans the last couple of quarters. Next month, we are doing I’d say three deals in different sectors. Andrew: Next month, first three deals. Pallav: First three deals, right. Andrew: What size investments do you make? Pallav: Typically our investments range from $10,000 to $30,000, $30-$35,000 going by today’s conversion. In certain cases, we make exceptions about like extending it to $50,000. Andrew: What kind of companies are you interested in? Pallav: Primarily [inaudible 47:29] software because those are the only domains which we understand, so we cannot invest in health care or construction because we have absolutely no idea about it. Anything where the Internet is an enabler or which is a software play which is what we understand and we can add value to, that is where we invest. Andrew: How far will $10,000 to $30,000 get the entrepreneurs that you’re investing in? Pallav: First thing is it will give them the push to actually pursue the idea. Right now they’re very scared of what happens if I quit my job, who’s going to fund me? I don’t have enough savings. That first push, which is the most important push for an entrepreneur. Let’s go ahead and follow my dream. This $10 to $30,000 will give them the push. The second thing is the validation. If I’m a full-time entrepreneur, I always have this doubt. Is this a good idea? It’s my idea, so I’m biased toward it. When we give this money, we are also acting as validators by putting in our money. The entrepreneur has an increased level of confidence that these guys are backing me. Third, we open our small [inaudible 48:31] to them whenever they need the help and our guidance to them. Money is, I would say, the last part we give. We give them incubation incentives. We give them mentorship. We give them guidance, our network. We increase the confidence levels. Andrew: So they come to you with just an idea and you give them enough money, mentorship, and other resources to get them to the equivalent of fXgraph Version 1. Pallav: I would say Version 4. Andrew: Version 4, okay. That makes sense. All they have is an idea. Andrew: What kind of advice do you give them? I can understand now that maybe the first three entrepreneurs you’re going to back in the next few weeks and definitely the ones who are going to come to you in the future for money are going to be watching this interview, reading the transcript carefully. What advice do you have for them? Pallav: From my own experience, I would say solve the pain point. I mean a lot entrepreneurs come with very technical ideas. They do not know who they are going to sell it to. I say backtrack it. Figure out who the customer is, what is the pain point, and then try to build a product or service around it. That’s one of the most important things. Second thing is don’t make the world as your market. If you’re trying to address the entire world, you will not have enough budget for your marketing. Try to focus on a very niche segment, like for charting, we looked at a very niche segment, because then you know exactly what is the addressable market is and you can devise some strategies around it without having to spend a lot of money. The best part is if you’re targeting a niche market, you can make a torpedo in that. Whereas in an enterprise market or a multi-billion dollar market, you’re just a fish in the sea. No one is going to notice you. That’s something which I tell to people who come to me as well. Andrew: Here’s some of the notes that I have on this interview. I know people like when I sum up the notes. Here’s what I got. Live with your customers, that was stunning that you would actually go and implement your software in other people’s systems. Just live in their homes the way that Airbnb people will go and live in the homes of the people who post their apartments on Airbnb.com. You say focus, focus, focus. I kept waiting for you to tell me about a product that you did that had nothing to do with charts, nothing to do with visualizing data. You didn’t even have an example of one that you got into and failed. You are that focused. Launch small. Your first version was basically an article. Then the real first version was something that you were a little embarrassed by, I think it took me three or four times to ask you the question to find out what was in it. It was small, doesn’t sound embarrassing to me but it was definitely very small and focused, of course. Rebrand, one of the things I keep asking entrepreneurs is if you come up with something bad, aren’t you going to be embarrassed by it? You came up with an interesting solution. You said, you know what, worst case you can always rebrand it. When you get it right, you come up with a brand new name. It’s like that other stuff didn’t exist. It’s like that other stuff was just high school, college, your learning experience. Be careful when you’re hiring from marquee companies. We’re always, as entrepreneurs, impressed by the big companies. Steve Johnson even, I think, went after the CEO of Coca-Cola, I believe partially because those big, experienced companies and the people who work at them seem like they’re better, like they know something much more. Maybe they do but they’re not always a good fit, and in your case it wasn’t. Focus on the benefits, I heard you say that so many times. You don’t want to tell them what the features are. You still don’t have a feature list. You want to tell them what they’re going to get out of it. Find the pain point. That’s advice that you’re going to give entrepreneurs who are going to get funded by you. Don’t make the world your market. Again, that goes back to focus. You specifically wanted to work with specific kinds of people. Now that you’re expanding even a little bit further, you’re still expanding within your area to people who are using PowerPoint like me and want to visualize their data. How did that do? Pallav: Absolutely. Possibly, I missed one more point and give the company a personal face. That’s something which we like to do. I mean, sitting in India, if you do not give it a face, we do not want it to be an unnamed entity out there, just like any of the outsourcing companies. So if you go to our website, you can see every single party we have hosted on in our company. We have like VP parties, monthly parties. You can see pictures of that. Every single person on the team is listed on our website. We are not afraid [inaudible 52:45]. We make sure our guys, have the best possible environment here. It’s a funny introduction or a funny explanation for each of them, even for our company. You have a lot of times where people come to us and say, “Hey you guys are free loving guys just like we are. I like to be with you.” That one moment of click, like, that one moment of feeling the same as the customer or the customer feeling the same as us has helped us in a lot cases. So try and give your company a personalized face rather than looking like that big company up there. Andrew: Are these parties just for you, or if I have a developer in my audience or an entrepreneur in my audience and he happens to be in Calcutta, can they stop in too? Pallav: Absolutely, by all means. We would love to host you. Andrew: All right, awesome, great. One final selfish question. You’ve seen my interviews, you’ve now lived through one of my interviews, which is the best way to experience it. Any advice for me on how I can make these programs more useful for entrepreneurs like you? Pallav: Good question. I have already been finding it very helpful. The only thing is on the transcripts. They tend to get very long, so maybe a smaller version of the transcript with the key sections, because putting in one hour every time is not possible, like you did the last seven points from this interview, you repeated them. How about putting them in a concise format as a part of the interview rather than the entire transcript. Andrew: I see, give it the key points, what they use to call the executive summary. Andrew: Makes a lot of sense. All right. I’m glad I asked. How can people and I’m glad I asked you for this interview, you’re in India, it’s 9:00 your time right now. After a day or work and we know you put in a lot of time, you came and did this interview. I’m really grateful. People want to check out your sites or want to connect with you what’s the best way for them to do it? Pallav: You can go to FusionCharts.com if you want to check out FusionCharts. My direct e-mail is pallav@fusioncharts.com, or you can follow my twitter handle which is pallavn, which stands for my surname, Nadhani. And if you want to reach me by phone, drop me an e-mail and I’ll send you my number based on which city I am in. Andrew: All right. Thank you very much. Thanks for doing the interview, and guys thank you all for watching. Just as I ask Pallav for feedback, come back and give me feedback. I love your feedback on my interviews. How can I make it better? Thank you and see you on the website. SuperConf – Let’s get together in person at SuperConf. Speakers include the founders of Mixergy, Grasshopper, Wufoo, Blippy and other top internet companies. SuperConf is also where 9 (top secret) startups will launch.